Carbon monoxide (CO) is created anytime a fuel such as gasoline, oil, wood, or propane is burned, and can be caused by many common household appliances. It is the leading cause of accidental poisoning deaths in North America. Odorless, tasteless and invisible, the only safe way to know if you are being poisoned is to install a Carbon Monoxide alarm on every level of your home and in sleeping areas. Tesla Fire Systems installs the full range of Kidde Smoke and Carbon Monoxide Alarms to help protect you against carbon Monoxide. 1. 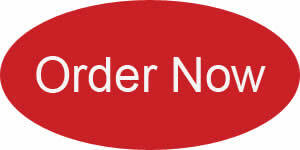 Interconnected Wiring of Smoke and Carbon Monoxide Alarms start at $195.00 each. Includes all parts and labour and Installed by Tesla Electric Ltd.
2. Standalone Smoke and Carbon Monoxide (with battery backup) start at $175.00 installed. *Electrical Safety Authority inspections (ESA) extra. 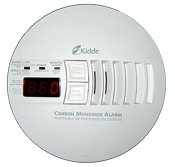 The experts at Kidde recommend choosing Carbon Monoxide alarms that have the most accurate sensing technology available. Carbon Monoxide alarms are designed to alert the homeowner when carbon monoxide levels have begun to accumulate over a period of time, and will alarm before most people would experience any Carbon Monoxide poisoning symptoms. The more accurate the alarm, the greater chance a family will respond appropriately to the problem. Install at least one Carbon Monoxide alarm on every floor and in sleeping areas. Make sure Carbon Monoxide alarms are at least 15 feet away from cooking or heating appliances to prevent false alarms. Don't cover or obstruct the unit. Test the Carbon Monoxide alarm monthly. Replace Carbon Monoxide alarms every 7 years to benefit from the latest technology upgrades. For more information about the products and services Tesla Fire Systems has to offer, click below.